The presidential campaign of Sen. Bernie Sanders (I-VT) is accusing Donald Trump of encouraging hate crimes against Muslims, Latinos and African-Americans. It’s fun for the political media to treat Donald Trump like he’s the lead character in a soap opera or the star player on a baseball team. But the truth is his language is dangerous, especially as it empowers his supporters to act out against Muslims, Latinos and African-Americans. Poll after poll shows that Bernie is the candidate best suited to take on Donald Trump and every other Republican running for president. Add your name to join Bernie in condemning Donald Trump’s racism and xenophobia. 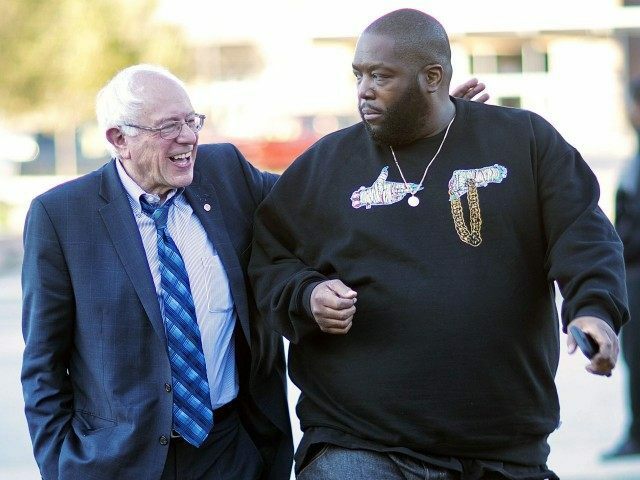 Sanders himself has faced accusations of racism from Black Lives Matter activists. In addition, as Buzzfeed reported last August, the crowds at Sanders’ events are comprised primarily of whites, and have been accused of racism themselves.